JUST ARRIVED - LOCAL TRADE!!! AWESOME CONDITION 2008 CHEVY SILVERADO 2500HD LT2 4X4 WITH 4 BRAND NEW MASTERCRAFT TIRES! 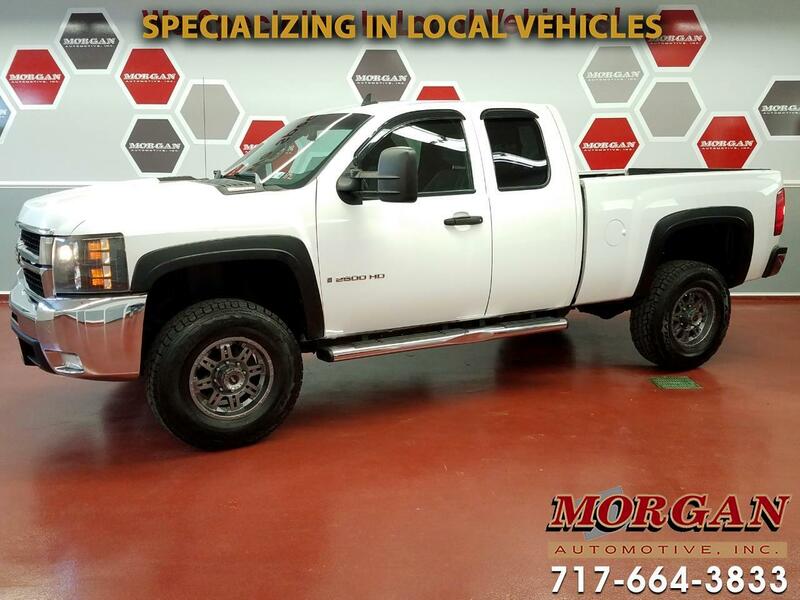 ****CLEAN CARFAX****This is a very nicely appointed truck ready to get to work for you! It comes nicely equipped with snow plow prep package, full power equipment including power seats and power rear sliding window, HD tow package including 3.73 rear axle, locking differential and 7-pin wiring connector with factory trailer brake control, skid plates, Cruise Control, bed liner, fixed running boards, dual climate controls, heated mirrors, remote keyless entry, Bose Sound system with AM/FM/CD/AUX radio and steering wheel controls and EZ lift locking tailgate. Runs and drives great, has just been through our Morgan Automotive certification passing a 110 point check, fresh oil, and tires/brakes are over 50%. Comes with a one-month/1,000 mile powertrain warranty with options to extend it for added piece of mind. Financing is available, if interested please contact one of our commission free sales team members.